Ha this is hilarious! I absolutely LOVE pho, but my husband and I both have a hard time calling it "fuh"...at home we just go with "fo", no need to pronounce it correctly unless you're in public ;) I'm with you though, I eat it with a fork and that spoon. I don't know how people do with the spoon and chopsticks! You sound like a blast to be around...I'm sure you kept the restaurant entertained! It is so important to go all out and just be yourself or act crazy sometimes! Situations can be so much more fun when you just let loose. 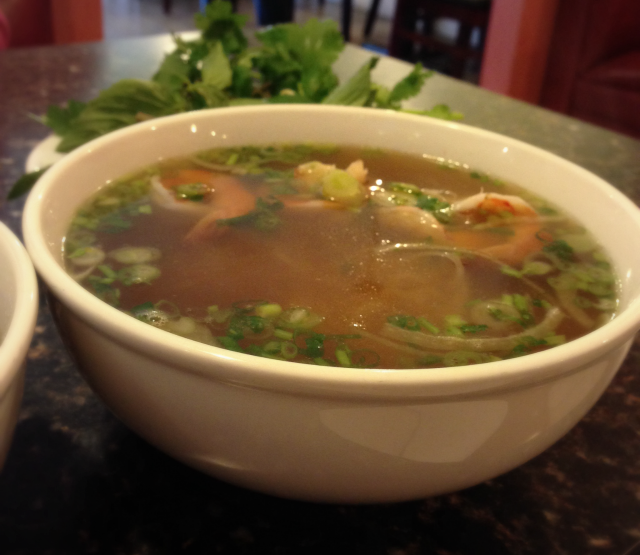 I haven't tried pho yet, but I might have to! I really liked that conversation you put in your post about how pho is pronounced, haha! Haha, I'm glad soneone agrees. Life is more fun when you're having fun. Lol, too funny. I wanna try pho now! You deff should. So good and a great experience as well. I'm glad the staff played along and wasn't offended by us. That's hilarious! I've had that same conversation about the pronunciation of pho lol. Twinnies! Wait, maybe I shouldn't say that. Haha I mispronounce a lot of food words! Girlfriend you just cracked me up till I wet my pants, oh my! If you live near FTW, we need a ladies night out! What did you think I was joking, nope I wasn't! Thanks for making me laugh this late Friday, ok Saturday Morning. Picture this: Friday night at a crowded Tex-Mex restaurant. I'm munchin' down on chips and salsa. Phone vibrates. I open my email to your lovely comment. I begin laughing hysterically and loud. People around me look at me like I'm crazy. I hand phone over to a fran and she laughs too. Yep, that's what happened. Let's be frans.